Registration for Suzuki Session is Full! We are still accepting students for Practice Pathways. Scholarships available for violas and cellos. White Mountain Suzuki Institute at Ogontz offers the same quality program and teaching as Ogontz Suzuki Institute. 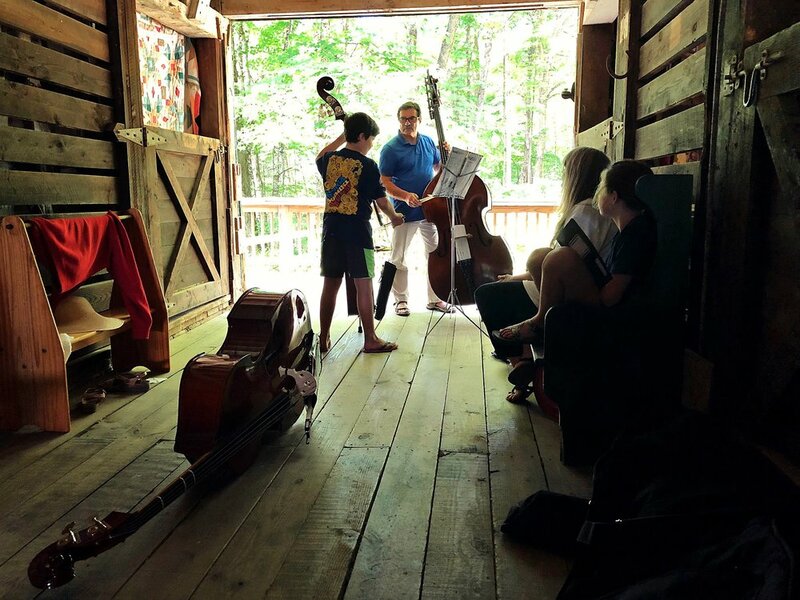 Practice Pathways is a special, pre-camp session for violin, viola, cello, bass students in Book 7 through the major literature, featuring five days of intensive masterclasses, performance classes, score reading, chamber music readings, discussions on performance preparation and guided practicing. This workshop is for the self-motivated student with a desire to apply and improve their musical and technical abilities. Parents are welcome, but we encourage musical and personal independence. However, for students 13 and under a parent or guardian is required to attend. Our talented, experienced and nurturing faculty round out this powerful musical experience.